If domestic violence is affecting your living situation, you cannot allow it to continue. You deserve to feel safe in your home, and if someone is making you feel unsafe or otherwise harming you, that individual needs to be held accountable. It sometimes takes domestic violence victims a length amount of time to come to the conclusion that they need to act, but the moment they do, they need to act with a plan in mind. This plan should emphasize both safety for themselves and justice for their abuser. While it may be emotionally taxing, it’s absolutely necessary. Talking about domestic violence is often difficult for victims, particularly when psychological components of the abuse make the victim feel as though they’re responsible for the harmful acts they’ve experienced. If someone you know and trust can help you facilitate a safe exit strategy or act as a witness to the things you’ve experienced, let them know you’re planning to remove yourself from the situation. Let them know in detail what your plans are, where you intend to be, and when you intend to be there. Tell them to contact law enforcement if they don’t hear from you when they expect to. Many domestic violence victims prefer to exit their situation when the individual creating the hostile environment isn’t home. It makes the exit feel safer and smoother. Pick a day to safely get away with your most precious belongings. If you can’t schedule or arrange an opportunity, you may need to privately and discretely call the police to have them remove the abuser from the situation. Even if they can’t due to lack of immediate evidence, they can still be present to assure your safety while you leave. If no one else has contacted law enforcement on your behalf, you’ll need to do it yourself. Your abuser is going to wonder where you went, and if you don’t have law enforcement intervene, this person may attempt to look for you. Act before they have the chance. Law enforcement might want to sit down and discuss specifics with you, and when that happens, be ready to provide them with the answers they need. They can help arrange and emergency order of protection to prevent your abuser from reaching out to you until a legal verdict has been reached. If you have photos or other documentation relating to your domestic violence case, prepare these things for the police. There is no need for you to hire a lawyer if the charges you’re pursuing are strictly criminal. If you would like to move forward with civil charges (such as destruction of property by the person accused of domestic violence), you might want to contact a lawyer. You might be able to find free advice on the internet, but make sure the lawyer you’re researching is versed with the laws that apply to you. Australian states have different laws and limitations than US states or UK countries. The healing process is important for your continued wellness. The sooner you pursue this process, the better off you’ll be. Finding a counselor or mental health professional immediately may help you maintain composure and begin healing while a criminal case is still being pursued. Since you’ll need to recount your experience often, getting help early is likely the best choice. Time is of the essence in situations involving domestic violence. When you move to liberate yourself, you’re reclaiming your life, your health, and your freedom. If you or someone you know is living with domestic violence, act immediately. (xiii) Visual surveillance under 3-901, § 3-902, or § 3-903 of the Criminal Law Article. These are in addition to the other acts included in my prior article on Maryland Peace Orders. In the District of Columbia, if the court grants your Motion for TRO, the order is usually valid for up to ten (10) days. But the judge may extend that time briefly. If the judge issues a temporary restraining order, the judge will set a date for a hearing on a preliminary injunction as soon as possible. Judges issue preliminary injunctions only after a hearing in which the other side has a right to be present. One or both sides may have to call witnesses to testify under oath. (4) the public interest will not be injured by the injunction. In domestic violence cases in the District of Columbia, when the abuser is someone who is or has NOT been related to you somehow or a member of your household, you file for a “Restraining Order”. You would specifically file a Motion for Temporary Restraining Order (“TRO”) or Motion for Temporary and Preliminary Injunction and a Request for Emergency Hearing. However, you may apply for a Preliminary Injunction without first obtaining or seeking a TRO. Victims of stalking, sexual assault, or sexual abuse are exempted from having to follow the above process for a Restraining Order and may proceed under the Intrafamily Offense/Domestic Violence Branch Process even if they are NOT related to or in the same household as the abuser. To obtain a Protective Order in the District of Columbia complete a “Petition And Affidavit for Civil for Protective Order” . 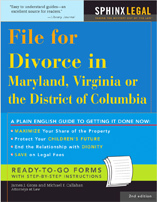 You file it with the Superior Court of the District of Columbia, Domestic Violence Unit, 500 Indiana Avenue, N.W. Washington, DC 2001, 8:30 a.m. to 5:00 p.m. However, if the court is closed the only location where you can file for a Temporary Protective Order is the Seventh District D.C. Metropolitan Police Station on Alabama Avenue, N.W. The hearing for the Temporary Protective Order is “ex parte”, meaning that the court can grant you a Temporary Protective Order without the Respondent being present. The Temporary Protective Order, Notice of Hearing and Order to Appear are then served upon the Respondent, free of charge, by the D.C. Metropolitan Police. If the person lives in Maryland or Virginia, service may also be free as part of an agreement between Washington, D.C. and the sheriff departments in the surrounding areas of Maryland and Virginia. The Temporary Protective Order issed by the Court will contain a date and time, fourteen (14 days later) on which you and the Respondent must show for an evidentiary hearing to determine if you qualify for a Final Protective Order. Leave the home if you are not married to the abuser, but were living with the abuser at the time of the abuse, AND your name is on the lease or deed for the house, OR you lived with the abuser. The judge can also give you temporary custody of any children that you have with the abuser. Or is someone who is or was in a relationship with someone who you are or were in a relationship with. But even if you are not in such a relationship, you may qualify for a Protective Order, if you are the victim of any of the following Intrafamily Offenses: stalking, sexual assault, or sexual abuse.